Summer Food is a federally funded program that provides free, nutritious meals to youth age 1 to 18 years old during the summer months. This critical program picks up where school breakfast and lunch programs leave off to help low-­income children get nutritious food to eat over the summer. Meals are served at sites such as churches, parks, low-income housing locations, schools, community centers, etc. throughout Allegheny County. 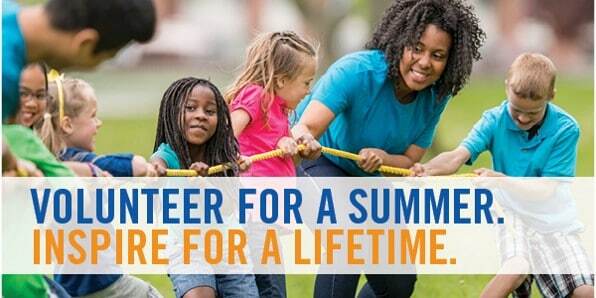 fitUnited is looking for volunteers to lead enrichment activities for children participating in the Summer Food Service Program in locations across Allegheny County. Volunteers will be placed at a summer food site June – August for three days a week. Volunteers must have access to transportation and current child abuse clearances. Every volunteer will receive a small stipend for travel expenses. Volunteers will be placed at Summer Food Program sites to lead enrichment activities for children who come to receive meals. Volunteers will be activity leaders and, more importantly, everyday mentors (informal mentoring by example, being a caring adult, and building relationships with the children you serve). As part of this immersive volunteer opportunity, you will be divided into smaller placement teams and will receive training including the topics of leadership development, curriculum planning, classroom management, diversity, poverty, and food insecurity. By the end of the summer, volunteers will have planned and executed in their teams a project aimed at helping the children in the community they served. The project will be implemented during the last week of the volunteer opportunity. Time commitment: This volunteer position will take place over the summer months beginning June 5th through August 16th, 2017. The time commitment is broken down into categories of orientation, training, on-site time, and team meetings. Exact schedules will be delivered once sites are finalized but you can expect to be engaged between 9 AM and 2 PM, Monday, Wednesday, and Friday each week. Volunteers will begin each site day at a central location for a volunteer meeting and to pick up supplies for the day. Afterwards, they will leave for the assigned Summer Food Program site. Groups of 2-4 will each be assigned one site for the duration of the summer in order to build lasting mentoring relationships with the children they serve. For more details or to sign up, visit fitUnited’s page here. To apply, please visit the fitUnited site. If you have further questions, please contact Maria DiGioia, fitUnited Program Manager, at maria.digioia at unitedwayswpa.org or (412) 456-6748. For other volunteer and internship opportunities please visit our Volunteer page.